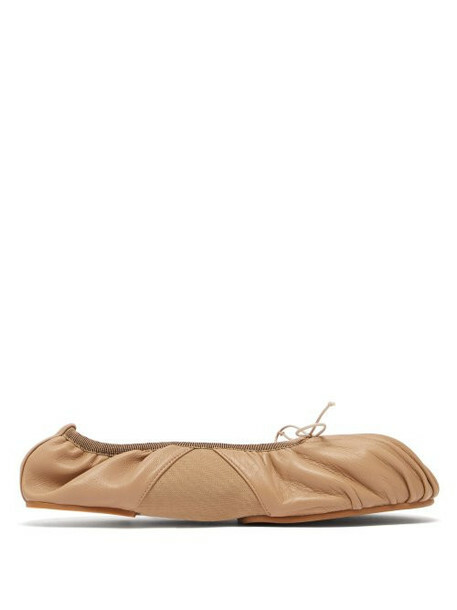 Acne Studios - Acne Studios' dark beige ballerina flats are conveniently fitted with elasticated instep panels in between the split soles - an innovative design that nods to the new-season collection's dance influences. They're made in Italy from supple nappa leather and gathered at the toe for subtle texture, then finished with a pretty bow across the front. Wear them with understated separates throughout a city vacation.